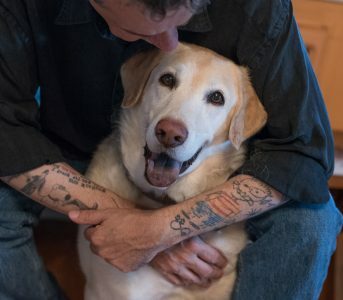 COLUMBUS, OH & NEW HAVEN, CT: Filmmaker Gorman Bechard, who has chronicled three of the most influential bands in the history of rock and roll with documentaries about The Replacements, Archers of Loaf, and Hüsker Dü’s Grant Hart is turning his camera towards the future with his next film, WHO IS LYDIA LOVELESS? The feature-length documentary will follow Lydia Loveless and her band into the studio as they lay down tracks for their forthcoming record. Along with live performances shot specifically for the film and extensive interviews with Loveless and her band it will visit places integral to her musical development, delve into the realities of a working musician on the brink of major success, and answer the question: Who Is Lydia Loveless? Music journalists from SPIN to Rolling Stone have likewise raved, with her last album SOMEWHERE ELSE finding its way onto many of 2014’s Best Album lists. Bechard’s three previous music docs have all won critical praise. Rolling Stone called COLOR ME OBSESSED, A FILM ABOUT THE REPLACEMENTS one of “The Seven Best New Music Documentaries of the Year.” The Seattle Times raved about the “raw power and mesmerizing hooks” in his Archers of Loaf concert film WHAT DID YOU EXPECT? While EVERY EVERYTHING: THE MUSIC, LIFE & TIMES OF GRANT HART was labeled “beautifully sad” by The Village Voice. 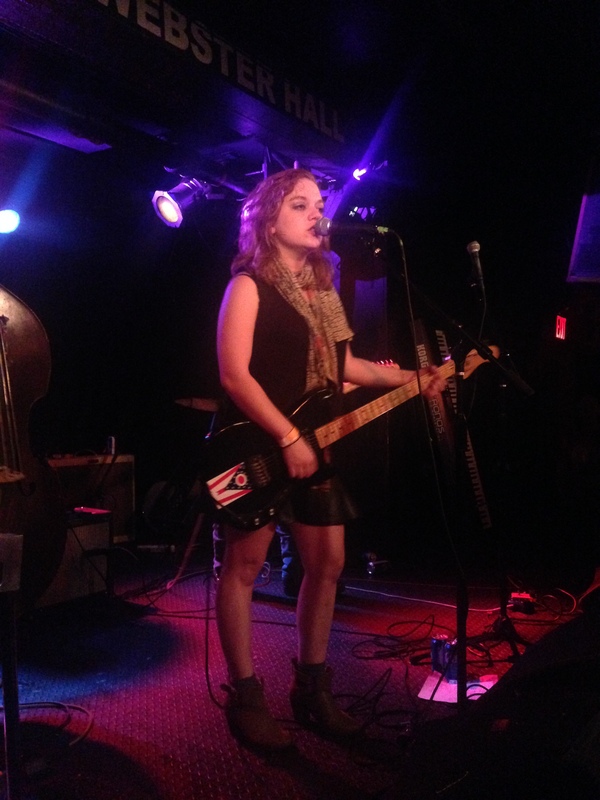 WHO IS LYDIA LOVELESS? will be funded via a KickStarter campaign that runs through March 18th. The KickStarter campaign can be found HERE. Filming is slated for spring and summer 2015, with a premiere planned for 2016. Everyone who reads this blog has to realize I’m a huge music fan. It’s one of the driving forces in my life. I’ve often said, I don’t believe in god, but I believe in The Replacements. Well, the same can be said of Archers of Loaf, or Patti Smith, or Wilco, or Lucinda Williams, or the Clash, Ida Maria, Neko Case, or even early Rod Stewart, and early Elvis Costello. The music released by these artists are my personal bibles, holy passages that somehow make me understand, and help me survive, and make it all worthwhile. I find solice, I find energy, I find life in these songs. But why these bands? Sure, there’s something about the song writing. The play on words, the chord progressions, the blessed distortion on the guitars, the wrong notes at the right times. But the one thing all of the above have in common, the singer has a voice unlike any other. I always compare every voice to Billie Holiday’s. And I think of hers as a fine piece of china. A cup, wise and fragile, with hairline cracks blanketing the surface, making you wonder if the glass will shatter if you touch it the wrong way. But its stronger than anyone can imagine, wise beyond its years. Its survived personal wars and heartbreak, 18-year-old Scotch and the cheapest ripple, piss and vinegar. It might not be the prettiest piece of glass on the shelf, but it’s the one you turn to time and again because its drenched with emotion, and every sip from it makes you feel. That’s Paul Westerberg’s to me. Or Eric Bachman’s. Patti’s. Lucinda’s. Joe Strummer’s. Jeff Tweedy’s. They are all beautifully damaged pieces of china on my musical shelf. But while one can growl, and one can go blissfully out of tune, and another can go from a whisper to a scream, and another can fill a room with a note so perfectly balanced that Philippe Petit listens in awe, I’m not sure any combine all of the attributes like the young woman I am adding to my list. I was immediately addicted. No, I want to go even farther than that. I became a crack whore for anything and everything Lydia Loveless. I bought every album, ordered the two blissful Record Store Day singles on ebay, then repurchased both the new album, and her previous “Indestructible Machine” on vinyl. And as my wonderfully patient wife Kristine will attest, I have played no other music since. No other new releases have even piqued my interest. In fact, all other new music seems to annoy me because, well, it’s not Lydia. Now normally I get bored very quickly with music. It takes a lot for me to continue playing a new record for more than a week or so. Those albums that get long-term play are few and far between. Something on the record has to sink its claws into me. I want to hear something new every time I listen to a song. Decades later, ten thousand plays later, I still want to hear something new. That is the mark of great art. That is the mark of a masterpiece. And that is everything that Lydia Loveless sings. Hers is a voice that can soar, that can break, that can swagger and scream, that can whisper and seduce, that can smirk and laugh out loud. She is the china cup from which Billie Holiday would want to drink. The only thing left was for me to see her perform live. Last night, in a small venue in Fairfield, Connecticut, Lydia opened for someone whom we did not even stay to see. She was accompanied only by her husband Ben Lamb on a standup bass. It was a seven song set. Thirty minutes. Pretty much what I expected, as she was the warm up. And honestly, I would have been there even if she were playing only one song. Her voice has such confidence on record, I wondered how it would translate live. But from the first strum of her guitar, it was like we were in the hands of a southern punk rock preacher, who would cure us of the disease which has so sickened rock and roll. And once she opened her mouth, the demons were exorcised, and like a smirking pied piper she would sing to us everything we needed to hear, all the while taking us to the promised land we envisioned the first time we ever heard Westerberg and company. Each of her songs took on new life, as if perhaps on this night she were singing for the friend she mentioned at the end of the set who had recently passed. Singing every line as if it were for the first time, as if she too were always finding new meaning in her words. New wonder. And when she pulled way back from the mic during “Verlaine Shot Rimbaud” and sang “I just wanna be the one you love,” I doubt anyone in that room would have denied her that request. The highlight for me, if I could pick one, would have been “Crazy,” which I not only rank as one of the best five or so songs of this half-over decade, but as a song that rivals Patsy Cline’s classic of the same name. It kills me. And I’m not even sure I can put into words why. Perhaps it’s just that feeling when something touches us so completely and we can’t explain why, and the inability to explain makes us feel crazy. Sort of the way I feel about Lydia’s voice, I guess. And to even call it a highlight sells short the unreleased song she closed the show with, a song dedicated to her friend who’d passed, and called “High Life.” She sang it alone. It was sad, it was beautiful, it made me smile. And I couldn’t help but think that wherever her friend is now, he quickly became the envy of those around him. Perhaps even god, listening for those few minutes thinking that damn when he got it right, he really got it right. And no, nothing’s changed in that respect. I still don’t believe in god. 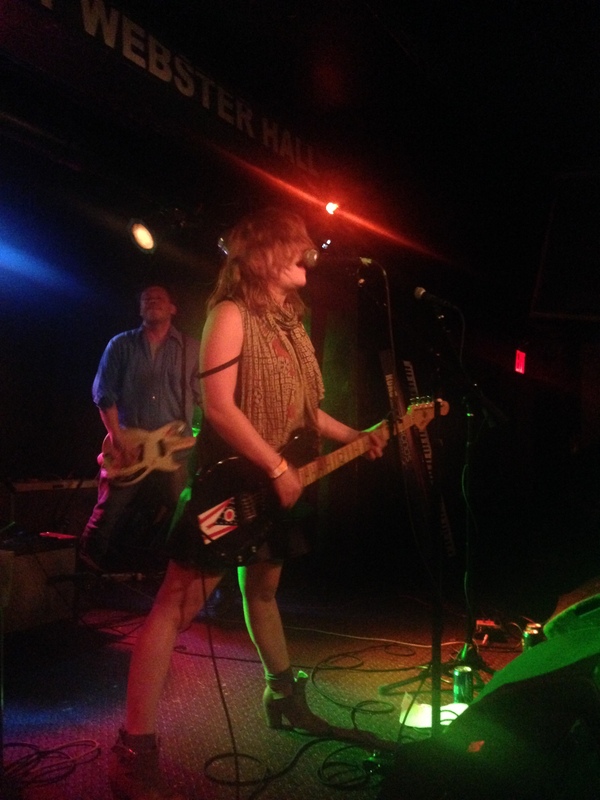 But after last night I certainly, wholehearted, believe in Lydia Loveless.